Culberson, Nichole / Welcome to G-9! 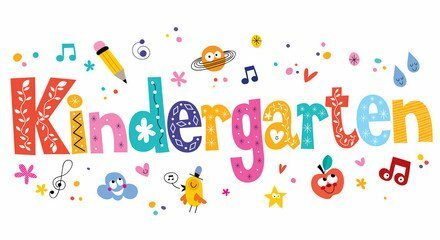 Welcome to Kindergarten in G-9! Reading: Your child will begin reading in kindergarten! We will use a balanced-literacy approach to reading instruction. They will develop phonemic awareness (how words sound), phonics (how written words work), learn to read sight words, build fluency, develop comprehension strategies and expand their vocabulary. Your child will be engrossed in a literature-rich environment in which they will be read-aloud to and also have the opportunity to read "just-right" books independently, with a partner, and in a small group. I will do my best to match books to your child's level as well as your child's interests. We will also play games and read in a "workshop" format to allow your child to build independence and grow according to their specific needs. I will be a model and a coach in the classroom and will share ideas and strategies you can do at home to support your child in becoming a SUPER READER! Writing: Your child will become a writer in kindergarten! We will work on developing ideas for our writing and draw pictures to match our ideas. The students will be labeling their pictures to tell a story and then move into developing a story through the writing process. Your child will be encouraged to use their environment to write words they know and see often in our world and also "stretch out the sounds" they hear in words they do not know how to spell (this is called "inventive spelling"). We will work on developing sentences that flow into an organized story that can be shared. Your child will be writing many genres this school year; some examples: narrative stories, informative (non-fiction) writing and opinion/persuasive writing. We will have a daily "writer's workshop" time in our classroom where I will model what "good writers do" within my own writing and then allow your child to write and practice skills and strategies to build writing stamina and put their thoughts on paper. I will hold writing conferences with your child to check on them during the "writing process" to develop teaching points to best meet their individual needs. We will have writing CELEBRATIONS where they will publish their writing for the world to read!! Math: In kindergarten, your child will begin to understand and build relationships with numbers, shapes, problem solving, explore and develop patterns, sort objects by multiple attributes, and use mathematical language. Your child will be encouraged to be a mathematical thinker and explore mathematics in the real-world using games and manipulatives. We want your child to use "math talk" to describe their thinking about mathematical reasoning. Number Corner will be a daily routine where they will develop numerical understanding and relationships. We will use questioning to challenge your child to think and discuss their ideas with others. Your child will have the opportunity to explore and problem solve in hands-on "math work places!" *Please see the "Bridges Math Program" link for more about our Math program and how you can work with with your child at home. Science: In science students will learn about weather, changes in our world, living and non-living things, and our five senses. Science instruction is hands-on and is inquiry based (driven by student's observations, discussions, findings and questioning). Social Studies: In Social Studies students will look closely at themselves (All About Me) learn about celebrating differences amongst others and also explore various traditions and cultures that make us all unique. We will also learn about maps and how to read and create them! The 7 Habits of Happy Kids: "The Leader in Me"
It is important that your child gets a good night sleep and eats full balanced meals. This first year in school can be a big transition for many children. Please communicate any changes you see in your child at home. We will work together to come up with strategies to support your child's academic, physical, and emotional success.